Northwest Domestic Bliss After 2017’s travels through the superb British Isles and the resulting seven video journeys, we were inspired to explore more of our own awesome country in 2018. 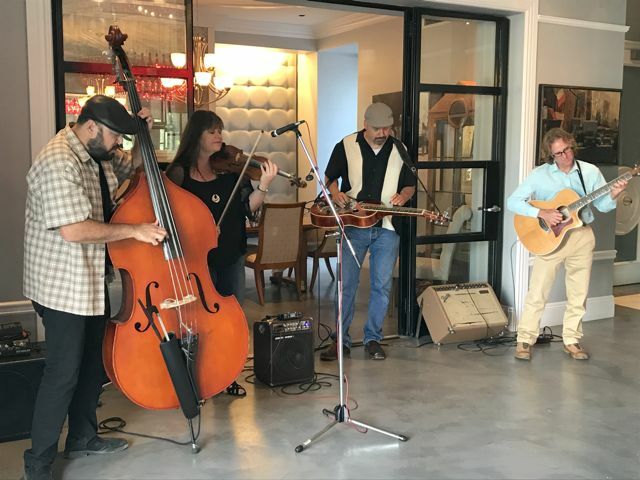 Here’s the scoop: First we brought in the New Year on the Nevada side of beautiful Lake Tahoe which can be seen in Bike-O-Vision #16: American Gems. Tahoe stays amazingly serene though its between 3 metro areas. 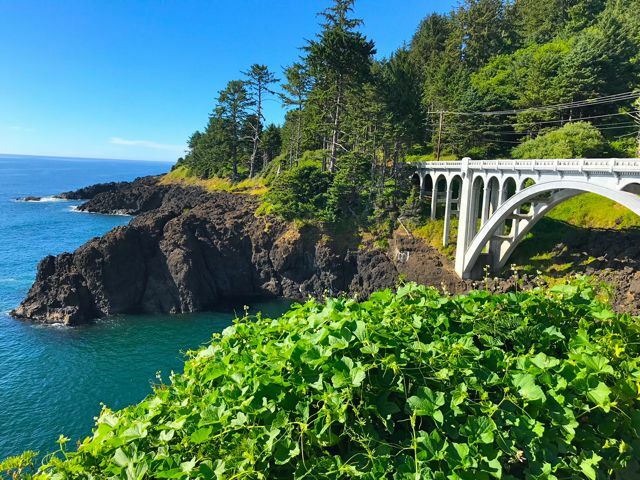 As Spring turned to June we hit the Pacific Northwest with cameras blazing producing BOV #66 Boise Rivers, BOV #67 Oregon Coast, BOV #68 Humboldt County CA in short order. Every time we go to the NW it feels like there’s more to see - many of its regions still have that fresh, unsettled feeling about them and this trip didn’t disappoint. Highlights: The isolated beauty along Idaho’s Payette River comes to mind, as do the surreal overlooks along Oregon’s long coastline. One of the days, we traveled for hours, arriving just as whales were spouting as if to greet us - that should qualify as a highlight. And the redwood forests of Humboldt County proved greater than the sum of their individual trees in their immersive and ancient mystique - a national treasure! Lake Tahoe: The boulders in Sand Harbor are a photographer’s paradise and cyclists love the long arcs around the 2nd deepest lake in the USA. 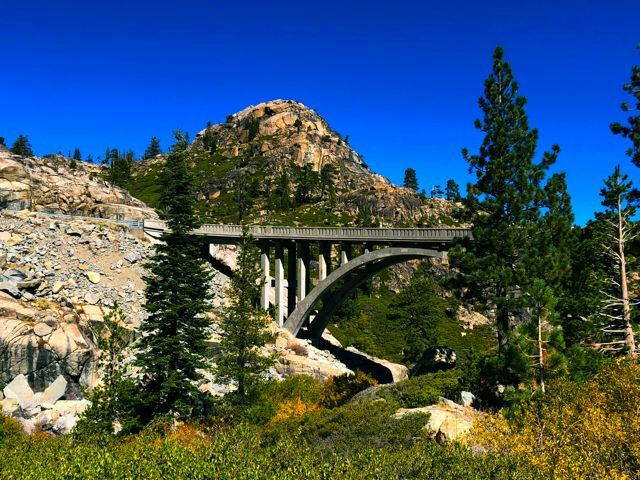 Both Tahoe and nearby Donner Lake took starring roles in BOV #69 High Sierra. The Victorian gold rush-era towns in this area are especially cute. Whales and Waves: The Oregon Coast is a phenomenal, highly recommended place to visit in the summer months, very rainy in winter. Rock’n n’ rollin’: Below, we are hard at play in the far-flung corners of the Pacific Northwest. 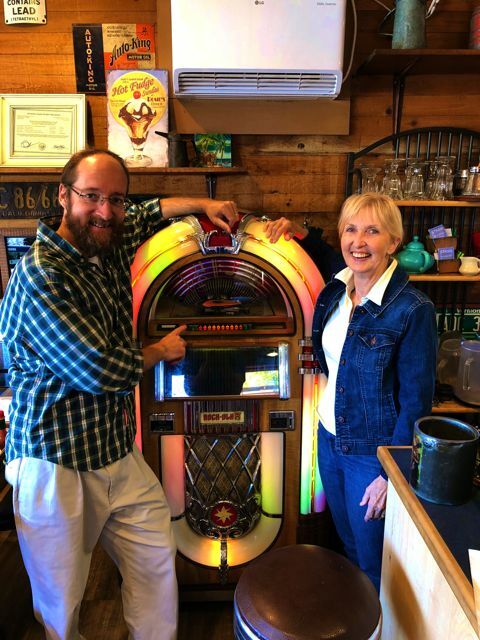 This is a cool old-fashioned juke box, don’t you think? 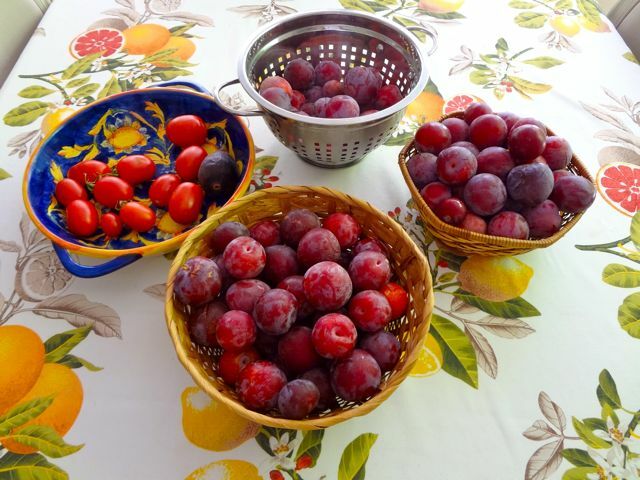 Plums, Figs and Tomatoes: One reward of not straying too far away this year... fruit from of our trees. Nor Cal’s weather in 2018 was ideal. Also our fig, pear and other fruits kept us very busy while editing the new videos and updating the website. Next, we were planning a trip to upstate New York when suddenly Hurricane Michael marched on in, asserted itself and literally blew out that idea - perhaps next year. Considering our options for autumn, we found ourselves irresistibly drawn back to the charms of the northwest. Rainforests, 14,000’ peaks and fall color! Mt. Rainier was a highlight of our earlier 4:3 format Washington State release, first done in 2006 and updated in 2011 and it was totally worth a 3rd visit. The upcoming release, featuring the epic ascent to Paradise is slated for Feb 2019 was shot in one day, all at once- it was incredible and we can hardly wait to show you! By now many of you have seen Mt. 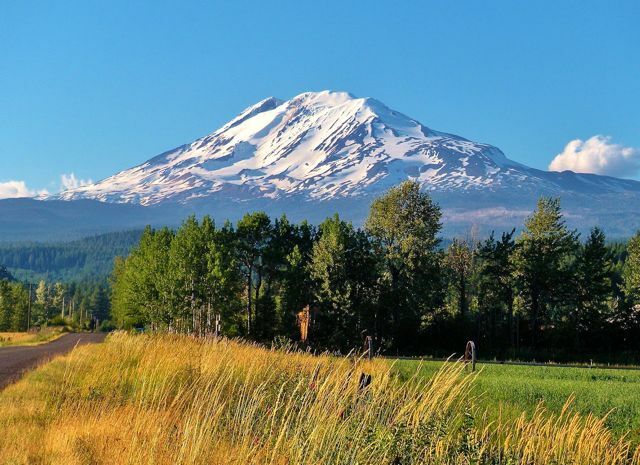 Rainier’s neighbor and its surrounding scenery in BOV #70: Mount Adams WA. The fall colors there were exceptionally vivid there, even for that region. Along with this beauty is a reminder of nature’s volatility, Mt. St. Helens. We had anticipated a visit but then found out locally that the best road was hopelessly washed out. We then got purposely lost in the Olympic Peninsula, which is like its own state in size and has a raw beauty found few other places. While on the “volatile” subject we’d like to thank those that voiced their concern for us regarding the horrendous wildfires in Butte County CA. We were far enough away from the fire not to worry for our immediate safety but had such thick smoke from it that we had to evacuate anyway. So we took this opportunity to shoot an area that’s been requested for years in the gorgeous central coast of California: San Luis Obispo County. BOV #71: Paso Robles, CA turned out to be a satisfying escape and provided oaky, challenging terrain for you indoor cyclists. Maryland Public Television Pledge Drives! One of the most exciting things that happened for us in 2018 was getting involved in Public Television. Maryland Public Television produced an excellent in-studio fundraiser using Bike-O-Vision footage. We also contributed to Public TV around the nation with between-program video shorts! If not already, sign up to receive news about these soon coming 2019 cycling journeys!